Sage 50 Payroll is known as being the UK’s best-selling payroll solution for small and medium sized businesses. Sage 50 Payroll is a module of the Sage 50 software suite and enjoys increased integration with other Sage 50 products, particularly Sage 50 HR. Created in close accordance with HM Revenue & Customs (HMRC), providing peace of mind that all payments comply with governmental regulations, Sage 50 Payroll is a good choice in order to take care of your monthly employee remuneration payments. What is it and how will it benefit you? All these tools enable your payroll processes to be run effectively and efficiently. Sage’s latest version, Sage 50 Payroll 2014 (The Automatic Enrolment Edition) is an upgraded edition to ensure simple transition to Automatic Enrolment compliance. The Automatic Enrolment legislation, introduced to see new legal duties for employers regarding workplace pensions, is aligned with this software and ensures you will be compliant through its use. Sage 50 Payroll 2014 (The Auto Enrolment Edition) has been designed to manage and prepare you for Automatic Enrolment in a simplified and stress-free manner, providing you with the necessary tools and resources to do this. You will be in control – you can create a personalised Action Plan based on The Pensions Regulator’s advice and best practice. Sage Research has taken this and built this into the software so you stay on track. You will save time – this includes Pension’s Fast Track which allows you to set up Pensions trouble-free and provides the access to leading Pension Providers you will need. You will manage costs – you can calculate contributions and try scenarios out in order to realise the costs to your business. You will keep in touch – by creating reminders to keep informed of outstanding work. Share this via Outlook, iCal and other calendars so everyone involved is kept up-to-date. You will be in the know – with a ‘glossary’ of jargon and other information sources, you will not experience any tricky scenario through using this software. You will stay on track – you will see exactly where you are, with milestones tracked in the process. 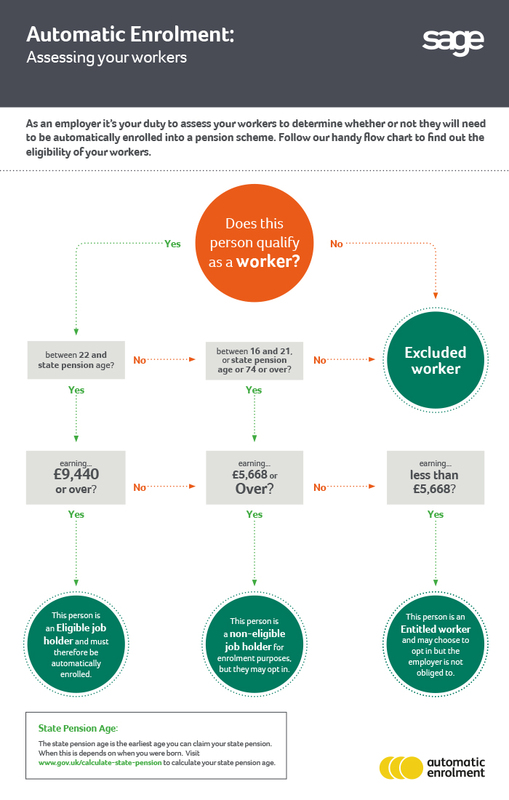 You will have accurate management – automatic assessment, categorisation and enrolment of eligible workers into the exact qualifying Pensions scheme is handled to effect. You will see processes speed up – Automatic Postponement is included in this software module. You will see ease of use – your data files will be created in a format expected by Pensions Providers. You will improve efficiency – including a function to complete Pensions Provider payments. This software enables correct files to be automatically created and to rightly detail payment information to individual Pensions Providers. You can manage your workload – correctly recording all data, payments and receipts so you can keep a check on when submissions need to be made. You can experience effective communication – between your business and individual Pension Providers, data communication is slick and timely. 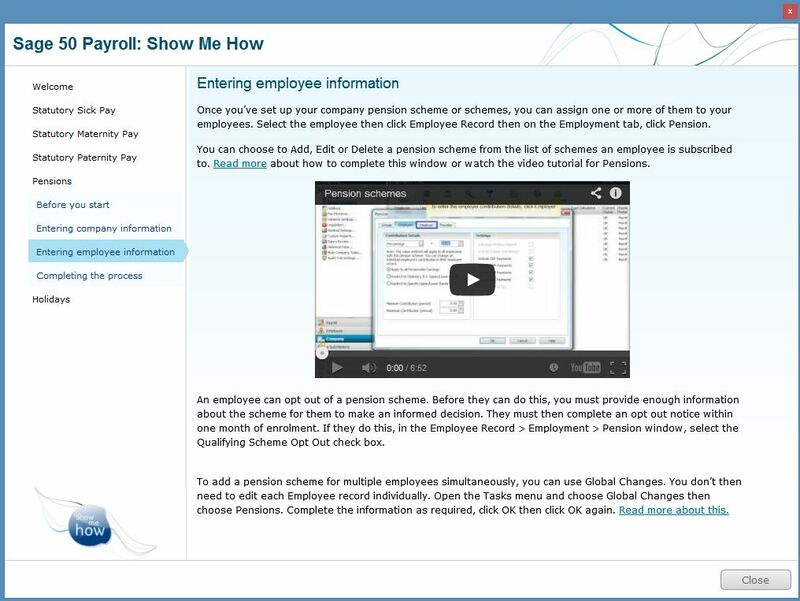 For more information about Sage 50 Payroll, please contact ibex.